Can My Spouse Be Ordered to Pay My Attorney’s Fees in a Florida Divorce? One reason that a person contemplating divorce may hesitate to go ahead with filing is the cost of attorney’s fees. While not all attorneys charge high fees, the thought that one spouse will be able to afford a high priced attorney in the divorce while the spouse will have to apply for legal aid or represent himself may affect a person’s decision to file for divorce. Fortunately, Florida law recognizes the inequity this would present to a divorcing couple, and allows a court to award attorneys’ fees as part of a divorce award. The court considers requiring one spouse to pay for the other’s attorney’s fees only when a request or petition is made for the fees. This means that a spouse who needs assistance with paying his share of divorce costs must ask the court to make the other spouse contribute to these costs. In doing so, the petitioning spouse must show that the spouses are not in similar financial situations, and that the spouse to be ordered to pay the fees can actually afford to pay them. If the petitioning spouse has received a significant amount in assets as a part of the divorce, a court may also find that the spouse no longer requires assistance in paying attorney’s fees. Therefore, a court may only award temporary or partial fees as the court deems necessary. An award of attorney’s fees must also be reasonable. This does not mean that the spouse receiving assistance with the fees is required to hire the cheapest attorney he can find. It does mean that the court may look to the reasonableness of the fees charged and the work done in order to determine how much assistance is needed. The court may frown upon a spouse requesting assistance to pay for unnecessary work that was done at his request in order to run up the fees. If the spouse who is paying the petitioning spouse’s attorney’s fees has to file a petition because the petitioning spouse is not in compliance with a court order, the petitioning spouse’s costs to respond to the petition may not be covered. For example, if the petitioning spouse refuses to comply with visitation times without any legal justification, and the other spouse has to go to court to seek a contempt order, the court will not award the petitioning spouse (who is not complying with the visitation order) attorney’s fees to cover the costs of responding to the contempt allegations. A person can also consider seeking attorney’s fees, not at the beginning of the divorce, but during the course of the divorce if the other spouse’s actions show an intent to financially harass that person into submission. This could happen when a spouse files petitions and motions just for the sake of dragging the other spouse to court. 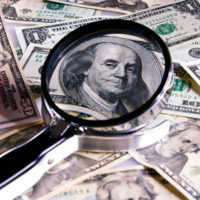 If there is an attempt to drag things out just to see a spouse spend money fighting the divorce, it may be time to consider filing for attorney’s fees. If you are considering filing for divorce in the coming year and want to discuss what you need to keep in mind before and after filing, you could contact our compassionate and experienced Boca Raton, Florida divorce attorneys at the Law Offices of Schwartz l White.